Infographic View of El Clasico game - Barcelona vs Real Madrid. La Liga match preview all you need to know before the Saturday game. El Clasico is one of the biggest soccer (football) game in Spanish and world football. The Comp Nou will hold the next game on 3rd of December where Barcelona will face Real Madrid in the hunt to go top if they beat their better rival. Messi and Co. will face Ronaldo and his Real Madrid teammates. We at MySoccerHQ tried to make something different in our preparation for the game so we create an infographic that contains a lot of historical data and information of this game. You will find how is top scorer, who beat the other more, how many MSN scored and BBC, and many other information. To make it short we will keep you with the infographic which tells everything that a football fan need to know before this game kick off this weekend. 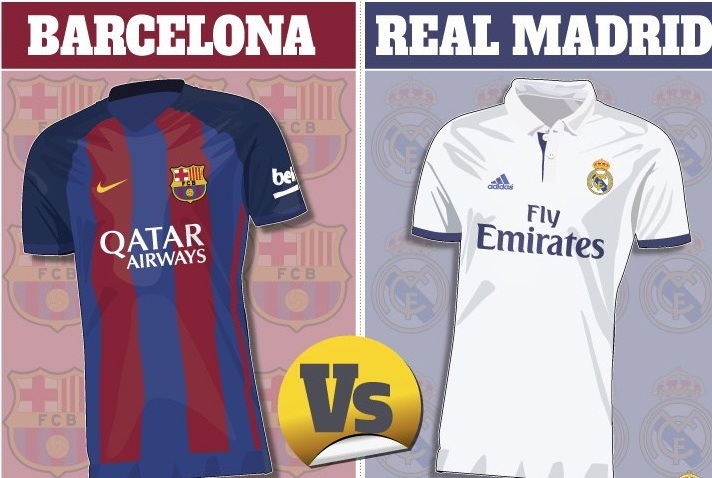 How to watch El Clasico Legally online? See Guide! thanks, this is a very interesting post. but where is the infographics?